With a style that is clean and simple, this busy mom of two turned from scrapbooking to cardmaking in 2010 for its quick, creative outlet. 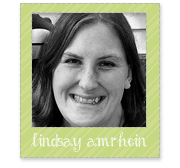 When not crafting or spending time with her family, Lindsay enjoys hiking, biking, camping and loves to read. She loves creating by accenting white space with pops of color. 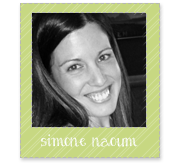 A longtime papercrafter, Simone began stamping in 2007 by creating invitations for her engagement. A fan of both stamping and die-cutting, her style is crisp and clean. When not creating cards, Simone enjoys creating home decor items with paper, keeping busy with her identical twin girls, and reading. Originally from Los Angeles, Yuki recently relocated to Washington where she trains in Brazilian Jiu Jitsu, hiking, and spending time with her boyfriend. A huge fan of cute critters, her projects feature her coloring skills to really make them shine. 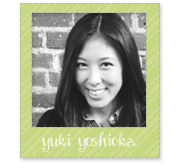 After admiring a co-worker's handmade cards, Yuki created her own and has been hooked on cardmaking ever since. 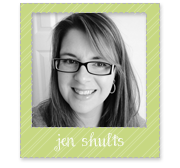 Blog: Deconstructing JenMarried to her college sweetheart, Jen is a mother of two and a middle school art teacher. A longtime stamper and member of the Taylored Expressions Creative Team, Jen also enjoys crocheting, pencil portraiture, and watercolor painting. Her style runs the gamut, showcasing different techniques and she loves creating her own background paper.